This unique single story 2700 square foot home offers 5 bedrooms (2 master bedrooms), cable flat panel SMART TV's in 4 out of 5 bedrooms and a 45' flat panel TV in the family room and FREE WIRELESS HIGH SPEED INTERNET CONNECTION, 3 bathrooms, fenced-in pool, whirlpool spa bathtub, 3 car garage, lavish landscape including palm trees and fruit trees, a granite kitchen counter top and a mix of both tile and carpet throughout. The over-sized master bedroom offers a King size bed, a huge bathroom with a sunken Jacuzzi bath tub, double sinks, separate shower stall w/bench, toilet in its own room with a door and a very large walk-in closet. There is even a daybed in the master bedroom with a pop-up trundle to accommodate another 2 people in their own twin size beds. The second master bedroom offers a Queen Size bed, its own bathroom and an over-sized closet. The third and fourth bedrooms offer a Queen Size bed and the fifth bedroom has two Twin size beds. followed by a swim in your own private pool (fenced-in, kid safe). Hoover Dam in 40 minutes. Pets are discretionary-call for approval. Gas Fireplace in Family Room. Cox Cable High Speed Internet provided with Wireless Access for FREE! There are always miscellaneous items in the pantry. Fence separates lawn from pool. This fence can be closed and secured so children don't stray in pool area without a guardian. Always make sure an adult is watching children in backyard. Lake Mead is 45 minutes away. Covered Patio with a table and 6 chairs as well as some lounge chairs. Las Vegas Ski & Snow Boarding Resort is a 30-45 minute drive from the house. There are many local parks close by with tennis courts. This house is only 10 minutes from the Stacey Darling Tennis Tournament Park. There are many great golf courses within a 5 mile radius of this house. You are within walking distance to the Painted Desert Golf Course and only a 5 minute drive to TPC and Badlands golf courses. Large Private Pool can be heated anytime of year, for an additional fee. Please inquire for rates. Fireplace, Phone, Pool Table, Air Conditioning, Cable TV, VCR, Stereo, CD Player, Full Kitchen, Microwave, Dishwasher, Refrigerator, Cooking utensils provided, Linens provided, Washer, Dryer, Jetted Tub in Bath, Private Pool, 3-Car Garage, Gas Grill (BBQ), No Smoking. Pool can be heated for an additional fee - Send Inquiry for Rates. Adam is a great and responsible property owner. He responds back to any questions/concerns in a heartbeat. He took great pains to make sure our stay is comfortable and inviting. Property is big, well maintained, located in a quiet neighborhood. This place is great for anybody whether you need to unwind or take care of business. The doggy door is a plus since my dogs are used to having a doggy door. My family is very pleased we chose this property for our stay. I am so happy that the house worked out for you. It's great that the doggy door just so happened to work out. If you ever need a place to stay just let me know. Nice, quiet neighborhood. The house has plenty of space to sleep a large group comfortably! There are 3 rooms with queen beds that fit couples, another room with 2 twin size beds for single, and the master room can fit a couple and friends. It has a nice king size and smaller beds. 2 Roll out beds are available to sleep some more. We used up all the space in the living room when relaxing together in the evening. Unfortunately, we didn't get to use the pool and spa, but the backyard area looked like a good area to hang out outside when weather is nice. There was no soap/shampoo when we arrived, not sure if it is provided regularly, but be sure to bring your own. The drive out to the strip takes about 25 minutes. It may feel far but it's not too bad. Overall, great place for what we needed. Thanks for the stay! Thanks for staying at my Vegas home. I'm glad to hear that everyone enjoyed themselves and that you had the space you were looking for. I agree that if you look on a map you would never think that the house is only 25 minutes from the strip, but with it being so close to the freeway entrance you can really get there quickly. I hope to see you back on your next trip to Vegas. A lot of space for my family. They were pleased. Hi Abigail. I'm happy that everyone was happy with the house. It really is big and gives everyone their own space. I hope to see you back on your next trip to Vegas. Beautiful house in a great location. I am glad you enjoyed my large beautiful home. I knew everyone would enjoy the pool too. Thanks for staying and I hope to see you back on your next visit to Vegas! First of all I express thanks to owner Mr.Gordon for having the property all ready for us. We were a group of three families with 12 people. The home was perfect fit and in fact had additional rooms to accommodate, may be 4 more. The home is just 18miles from the Vegas Strip. The home is located in a well maintained community and peaceful. The home is well equipped with all amenities and in working condition. The rooms were clean and neat. The pool was clean, running and ready for use. We also did cooking whenever we were home. If we had the time and means we would have loved to stay a bit longer. I don't have any cons to write about but may be suggest Mr.Gordon to upgrade the washing / Dryer. I'm happy to hear that all three families enjoyed themselves at my large, beautiful Las Vegas Rental House. I take pride in offering upscale accommodations to Las Vegas visitors. I'm glad that you took advantage of all my homes amenities, including the pool and fully equipped kitchen. I hope to see you back on your next trip to Las Vegas! Had a great time with the family. House was well stocked with necessities. Adam the owner is very responsive to any questions. Great location to get out of the Strip traffic, but still just a 20 minute drive to Strip. Pool was great! It's great to hear that you enjoyed the nice quiet community where my house is located. The pool is always a big hit, so I'm glad that your group also enjoyed it. 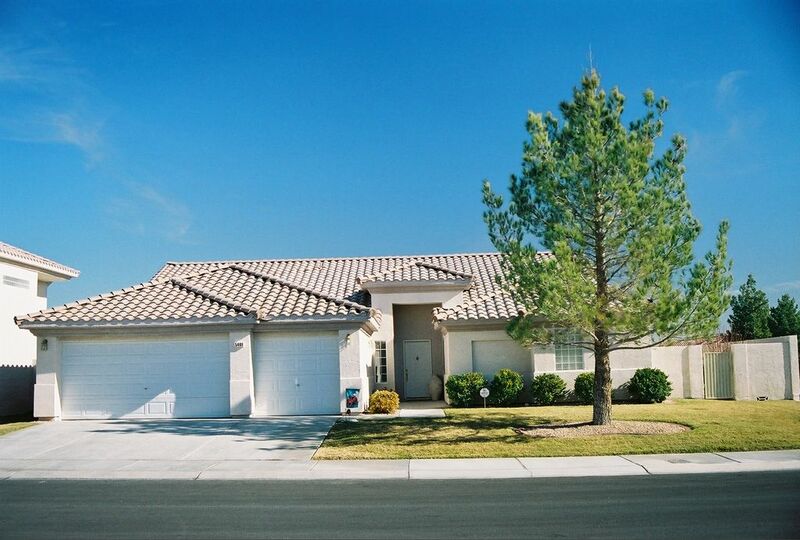 Isn't it great to be in a safe , more upscale neighborhood and only be a few minutes from the Strip. I hope to see you back next year. Cross Country Skiing, Snowmobiling, Sledding.